Making Green Eggs & Ham! Anderson was again the first one up and Graham wakes us all up with his blood curdling scream of "Mommmmmmy, I'm ready to get uuuuuuuppppp!!!!! Everyday my heart skips a beat when he does this and everyday his little scream wakes up everyone else in the house. This morning the kids all quickly grabbed our phones and the game phone and started playing-it was still before 7. Those things are so addictive. Campbell was the only one without one and she kept saying "Rearea my turn? Son my turn? Graham my turn?" When Robby left, I made them put them up and Campbell finally had a turn. Next up was breakfast and we did some memory work and then I let them play while I ran around trying to get a few things done. We then started school and it went very well-we even finished Reagan a Dr. Seuss book or two. Then we had more playtime while I finished up my chores and then it was lunch time. Lunch today consisted of green eggs (Green Eggs and Ham) and apples (Apples on Top). And then we had a little green eggs and ham snack that I made from pretzels, chocolate and m and ms. Then Anderson remembered that he had brought home a sheet about making a train out of graham crackers, icing and round candies so we did that too. I think that we were having lunch for over an hour today! After lunch, I put Campbell down for a nap and was hoping that Keaton would take one but she is now out of that sleeping baby phase and seems to be awake all of the time. Anyway, Reagan and I did play a game of Sequence and Grannymom and Grandpa came over to add a piece to the trailer. Everyone but Campbell played outside while Campbell finished her nap. Of course, with all that running on the footings-lots of falling has been happening. We have 2 bandaids and 4 skint knees (today!). Soon Campbell was up too and then it was time for supper. Since Robby was able to come home early today and us go to church together, we didn't go to see Beebee. But we still have to start on supper a bit after 4. They were all watching a movie in my room so I laid a blanket down and everyone ate on the blanket. When I came in there again, Graham was laying face down on the blanket snoozing! Poor thing, he so needs an afternoon nap but if he takes one then he doesn't go to sleep until late. I was able to wake him up pretty easily by telling him that the digger man was back. He put some string up (that means nothing to me but it looks like progress). So as he worked Campbell and Graham were standing in the desk chair downstairs to see, Reagan was in one upstairs window and Anderson was in the other. Robby came home and then we immediately loaded up to head to church. Robby and Anderson both were give complements by their teachers about how well they behaved. And Reagan said 5 verses tonight and one we had never practiced-something is up with that though because she sure was smiley when I asked her-it was like 10 lines long. Oh, well trying to get that extra credit book finished by the end of the year. Poor Campbell didn't get a glowing review from her teacher's tonight-Mr Robert and Ms Patricia were down the hall and Campbell was not happy about that at all! Hopefully next week they will be back in her class! Anderson has been the one getting out of bed a bit before 7 these days. He comes to our bed to lay beside me and then when one of us stirs, he jumps up to go and start a movie. This morning when I went upstairs, Graham was in his bed calling for Anderson-they didn't even know where he was. Though Graham had already gotten out of bed, taken off his pull up and pajama pants and put on shorts. Everyone got ready for school and we all headed out. Graham was a bit disappointed that no one was working on the garage this morning. Robby dropped off the boys and I dropped off the girls. Today was national pancake day so Nonna made pancakes. Reagan did her school work that I had sent, Campbell spent the morning being a mess and Keaton smiled, cooed, spit up and drooled all morning. I picked up the boys in the car pool line and as we were pulling out of church, Anderson said that he couldn't get his seat belt buckled. Once he said that, he was done trying and starting to panic that I was still driving. I slowed way down and tried to talk him through buckling it-my goal was to not have to pull over and get out of the car to buckle him us. He finally got it clicked just as we passed a police car on the side of the road-he would have fallen apart if he had not been buckled and seen that police man. I had 10 bags of groceries to unload, Anderson and Graham's school stuff and 2 bags from Nonna's house to unload. I was moving fairly quickly until Anderson fell down and scratched his hand. Then Reagan, who was also running on the footings, fell and scratched her knees which required bandaids. She just kept screaming "I'm sorry, I'm sorry" She thought she had torn a hole in her new leggings-yep, I finally found some to replace the ones that she has worn daily until she got a hole in them. Campbell was so concerned with Reagan needing a band aid. Campbell has really become quite the talker lately. She uses 4 + word sentences and usually gets her point across to us. Hopefully the more she can talk, then the less she will have her little fits. After everyone was bandaged up, I finally finished unloading and we started school. Keaton and Campbell were asleep and Graham had asked to take a nap and had fallen asleep on the couch. School went fairly well but afternoons are just hard for school-they are tired, I am tired, so much to be done. But with just Reagan and Anderson things were a bit smoother than usual. Of course, things were so smooth that I let all 3 of the sleeping ones sleep a bit too long-if they sleep too long then they may not sleep well tonight. Oh, sometime during school today neighbor girl rang the doorbell to ask if they could play. I said no that we were still doing school. And before I could even walk back to the kitchen, she was knocking on the back door asking if they could play in the dirt-no, not without us playing outside. Last night, when asking if she could stay for supper, I at first said that I didn't know yet and she asked if I needed to as my daddy. My daddy? Seriously? Grannymom and Grandpa came over for supper and we had our standard Mexican casserole-can't wait to get my freezer back and fill it up. The kids played for awhile and we even read a few books. Despite a trip to the grocery store today, I had no dessert options so I pulled out a pretzel kit from many, many moons ago. We gave it a whirl and the yeast was probably a few too many years old to work but when you dip something in butter and pour cinnamon and sugar on it, it ends up tasting okay. So we gobbled them up. Soon it was bedtime and my nappers were wide awake-Graham and Campbell. First they needed water (well, Graham needed it so Campbell decided she did too) and then they needed medicine and both took their feet out of their pajamas. Finally, it was quite up there-who knows what is going on up there! Robby was quick to point out this morning that I had neglected to hear Keaton at 2 and then at 6 this morning. I never heard any of it...and I plan on not hearing anything tonight either! Hopefully, she will sleep through the night tonight but she ate a bit later and missed her cereal so we will see. After Reagan and Anderson left for school, Graham decided that he wanted to watch a movie so I tried to show him how to use the remote since the others usually do it and don't let him touch the remote. He kind of got it but could never find anything he wanted to watch so we soon all headed to clean out a closet. I worked on the hall closet while Keaton watched and Graham and Campbell played games. Campbell played some noisy caterpillar game where she picked up each marble to put on the caterpillar's hands. She worked pretty hard at it and then she put all of the marbles back in the bag-this took forever but she didn't get up. Graham played Candyland and I played with him. He did really well playing and stuck with it the whole game. He is getting big-seems like yesterday that he couldn't play any games. After our games and probably during a snack (Graham asks to eat every 5 minutes when he is the biggest kid here) Jodee called to say the digger man was on the way. So we finished the snack and headed upstairs to get our viewing area ready. I worked on folding 2 loads of laundry while Graham waited for digger man. When he arrived, it was like Christmas for Graham and even Campbell. Graham would watch, wave, show his animals to the workers and give me frequent reports while I folded. I called Robby and he didn't want to miss out on the fun so he volunteered to pick Anderson up from school. They were almost to the house when the cement truck was about to start. I had to call and tell them to get there quick so Anderson wouldn't miss all of the excitement. They flew home and made it just in time. He was able to see most of the cement and even see a bit more being dug. The other day when something was delivered, Anderson had a pen and paper and drew a picture. He is now our official addition artist and as he ran in the door today trying to jerk his shoes off to get upstairs, he shouted at me to get a pen and paper for him. He was so proud of his drawing today of all of the equipment. We watched until they pulled out of the driveway, taking only a brief break (while they waited for more cement) to eat lunch. When the workers left, Campbell laid down for a brief nap. I then fed Keaton and we both snuggled up in the chair and I tried my hardest not to fall asleep because within just a few minutes it was time to go and pick up Reagan from school. Reagan had seen fish eggs at school today and was very excited about this. It was also girls show and tell day and we had forgotten but she said that she showed everyone her finger nail polish. She said that she showed it to everyone in the room. Oh, I would love to be a fly on the wall during show and tell. After picking her up, everyone put on their shorts and outside shoes and they played outside-I stayed outside some and managed to play soccer, push the swing and throw the baseball all while holding Keaton. Anderson did finally figure out how to swing by himself today so that was a big accomplishment. Neighbor girl came over and asked to eat supper with us. She constantly asks and I gave in tonight-mainly because she told the kids that she didn't have any food at her house. If she is hungry I will definitely feed her but I just don't really believe her. Anyway, she did get a hot dog tonight and they all ate on the picnic table. We called them in when it was nearly dark and Robby hosed them all off in the shower while I dried and clothed them. We had a little assembly line going on and it worked out well-everyone was able to have some warm water for their shower. I then left to have coffee with the girls (Candace's going away party) and Reagan and Anderson watched a movie while Graham snuggled with Robby on the couch. So again I forgot a few things from last night-first one as Robby and I were doing some yard work last night we started out with 5 rakes. One of those was already breaking and by the time we finished our yard work, we had 3 broken ones, 2 ones that survived and we had also found a lost rake. It had been put in the lady's yard in front of our house. Also last night as we were trying to clean up before the sun went down, Anderson started screaming. He was holding has hand all funny and I was almost sure that it was broken by his horrible scream. "Did you fall? What happened?" He couldn't tell me what happened at all. Eventually I saw a splinter sticking out. He continued to scream so I took him in and then Robby came in. We were able to get some of the splinter out but the screaming was too much and we had to just let the rest stay in there. It is still in his little hand today but doesn't seem to be too bad. A google search revealed that the splinter should come out on its own in a few days. But of course, all of this happens while Campbell is screaming from her diaper rash, Keaton is screaming, Graham is waiting outside without his shirt and fussing because he is getting cold. So back to today, Robby had a breakfast at church at 8 so that left us on our own to get ready. Reagan did not approve at my church outfit for her and had herself a little fit and then on our way out of the door, Anderson decided that he wanted to take Cash some candy but I didn't let him so he had a fit. By the time we did make it to the car, Robby was calling to see where we were. We still made it on time and were able to see Pops (Graham is under the impression that Pops doesn't go to church anymore), drop everyone off and sit down before church started. The kids were fine in church and we survived worship care (it was just Robby and I with 3 little babies). Then we went to Dana's for lunch. We celebrated Grannymom's birthday with a yummy meal, lots of trampoline time and presents. Campbell is quite the trampoline jumper. If she is the only one jumping she is happy and smiley but when anyone else starts jumping with her, she would start screaming and throw herself down and kick her feet. If I could have only reached her....but in her defense, when others started jumping that would toss and bounce her around like a ragdoll. When we finally made it home, Reagan went to work on a scavenger hunt for the boys. She had made them each a coloring book, had hidden cookies for them and even made them a coupon for a lemonade. I had the lemonade ready and snoozed peacefully while they ate. "Snoozed peacefully" might not be the right term since I was also feeding Keaton. Around 5 everyone decided that they wanted to go outside so we sent them out. There was lots of dirt play, Robby and Graham played soccer, everyone got a few pushes in the swing and before it got dark it was time for baths. The first crew had theirs while half ate and then they switched. Keaton is the one who needs a bath but she was asleep and missed her chance-there's always tomorrow! A little help from 'sis! Keaton had a middle of the night bottle and Graham woke up at a decent time. It was a fairly restful morning until it was time to leave and then we all scrambled around like mad. We have gotten pretty good at getting ready quickly. Robby, the boys and the little girls went to go meet Grannymom and Grandpa at the Tractor Supply store to buy a trailer for the tractor. They had a blast looking around at all of the tractor stuff. And then when they made it home, they had a few rides around in the trailer-they loved it! Reagan and I went to a tea party birthday party for her friend from school. She enjoyed coloring, panting her nails, eating cantaloupe and then a cupcake and then she was ready to go. Reagan was the only one from school invited and after so long, she was done. She did fine for not knowing anyone but I can imagine that is as hard for a kid as it is for an adult. Anyway, it was fine since Robby and the others were all meeting us at Sams. Reagan and I made it there first and ran in to pick up our medicine and then we got in the car with everyone else. Then we went to 3 gas stations for Robby to do a little bit of work. Usually they don't notice our mystery shopping (even when we go to multiple grocery stores in a row) but they noticed the 3 gas stations. And when Robby had to put on the orange vest and take a picture for himself the questions started coming. Robby just explained that he was working on sending them to college. Then we did reward them with ice cream from Wendys. And we didn't even make anyone share-that is what made Reagan so excited. Anderson finished his off and Campbell came pretty close. When we made it home, we were in our outside clothes and everyone was picking up sticks. Keaton stayed outside for a bit, had her milk and then went to sleep. The kids were allowed to play in the dirt and this kept them happy for hours. Robby and I raked and burnt leaves until time to come in. He cut the boys hair before coming in while I washed the girls. Poor Campbell had pottied some time while outside and her poor bottom was horribly red when we came in. She couldn't even set down in the bathtub and only screamed during her bath. After a tube of diaper creme on her bottom, things were better at bedtime. Keaton was the only one who didn't get a bath tonight-maybe in the morning! After baths, we all had supper and then it was time for bed-yard work is hard on the kids! 4 of the 5 best looking kids! Robby fed Keaton in the middle of the night-that tooth must be bothering her because she just hasn't seemed to be her happy little self. She has just wanted to be held or eat and if she is not doing those things then she isn't happy. (Though she has been very content tonight.) This morning I felt that her little tooth has come through-won't be long until she is eating steak! Campbell woke up at 6:30 and everyone else was soon up. I tried to encourage them to lay down for a few more minutes and Anderson said that he would if I would stay up there. I grabbed a pillow and laid down-Campbell had to lay beside me and within 3 minutes everyone was on the floor beside me all lined up with our pillows and blankets. After a while I decided that that was silly and I tried to head back to my bed but by then Campbell was putting on her clothes. I did make it back to my bed but Keaton was there in her diaper sucking down a bottle. Robby went to work and I headed to the shower (if you haven't guessed by now, I can not function properly without my shower). After my shower, we had breakfast and then the kids had a few minutes to play before school. And of course right before school, Reagan had a fit about not having a turn to watch her movie. It was a huge fit and I attributed it to her still being tired from her sleepover the other night. She fussed, stomped and when she growled that was the end of the fit for me and I promptly ended it. During the day I feel a bit outnumbered and I can't let things get too out of control or I will lose my mind! She eventually calmed down and we started school. Afterwards, they had time for more playtime and I worked on the bathrooms and laundry. Then it was lunch time but the fun came after lunch when we made Lincoln's log cabin out of pretzels. The kids were so excited that they were each going to make their own cabins. I got most of them started-pretzels and icing. When we ate all of the icing, we used peanut butter. Campbell had heard us talking early in the morning about going outside after lunch and she found her new shoes and was ready to go. She is so proud of her new shoes but when I told her to put on her old shoes to keep her new ones clean-she understood. Keaton was asleep so we all went outside. The weather was beautiful. We first inspected the load that came today for when the footings are dug. That was another highlight of the morning-watching the truck drop off the stuff. My boys are going to love the next few months around here with real live construction going on. Outside, we walked on the trail close to the house, swung on all of the swings, moved a few stumps (one we could move and the other we could only roll about 6 feet), finally we played baseball-man, I love living out here. The kids ran more today than they could have ever run at Gamble. Back inside, Campbell took a nap and Keaton watched me work on school for next week while the big 3 watched a movie. Then we put together a stool from Ikea (yes, it took all 6 of us) and then Robby was home. Kennedy came over to play for a bit and everyone had hot dogs for supper. The kids missed out on the best potato salad ever-it was like loaded backed potato salad. Next up we took a trail walk in the dark with our flashlights. How fun was that. We did both little trails and man we could really see the stars when we walked away from the house. Then we did the one near the house and even ventured off the trail. All of the kids had their own flashlights, I was holding Keaton and Campbell was holding on very tightly to someone's hand at all times. Graham was spooked whenever he heard a dog barking. They all really enjoyed it and would have even stayed outside in the dark to play but we tempted them back in with cookies. We made cookies and then they all decorated them with sprinkled-lots and lots and lots of sprinkles. I will be getting sprinkles off of my kitchen floor for months! They left the kitchen on a sugar high and played upstairs wild and rowdy. They eventually tired a bit and headed down to color. Soon the Stotts came back to pick up Kennedy and then our crew all went to bed. They were exhausted! So yesterday we were at home and Graham told me no about something and I told him to come to me. He took off running and I sure took off after him. After I had dealt with that situation and his rear end, I walked back into the living room to see Reagan telling Anderson "now you be the momma" followed by "No!" and she then takes off running with Anderson chasing her. They have already started making fun of me! The boys were both the snack helpers at school today. This was big time stuff and when you are snack helper, you get to have a special napkin. By the time we were in the parking lot, Anderson already had his leftover cheese stick out and was eating it. Graham had some cheese and fruit snacks left. He had his cheese in the car and then decided to give his other one to Campbell. In the car after school, I was telling the boys that Reagan would be in first grade next year, Anderson would be in kindergarten and Graham would be in prek. Anderson said "oh no" and I asked why. He said that he couldn't learn all of those verses that Reagan knows (in Awana). I told him that of course he could and promised him that we would practice them together. We might just start practicing them this summer so the first few will be easy and he will be pretty confident about his memorizing skills. I dropped the boys off at Grannymom's house and went to run a few errands. After my errands I came back in time for everyone to have one last turn on the swing. Keaton was loving being outside but soon it was time to go and pick up Reagan. Reagan had spent the night with Kennedy and Alyssa Kate last night. They had milkshakes on the way home from church and even had quite a bit of time playing before they went to sleep. Reagan really wanted to play Polly Pockets and they were finally able to this morning. After a morning of playing at Kennedy's house, they spent 4 hours at Pinnacle and Reagan was hot and tired when we picked her up. In fact, we only did two (out of our usual 10) school boxes. I even let her pick them so she picked the fun things-a snowglobe art project and Awana Bible verses. I will just cram the other 8 boxes into tomorrow's stuff and next weeks. Oh, as we were loading up the car leaving Grannymom's house, Graham became pretty mad at me for not letting him have any gum. I told him that he would get a spanking when we made it home. He fell asleep on the way home and that sweet little face almost made me forget. But after waking up and him growling at Reagan, I quickly remembered. Robby was working from home and was on a call so I had to take the boy outside to spank him. Glad we live in the country! At supper, we asked about everyone's highs. Anderson said that his high was going on a walk to Cash and Lilly's house. He also said that Grannymom said they could play for a little bit and they all jumped on the trampoline. He said he could jump as high as the net and Graham added that he could jump to the sky. They also said that Campbell jumped some and Grannymom didn't jump but she did play crack the egg and was the egg. When they said that Grandpa jumped on the trampoline, Robby called them on that part of the story. But later we found out that the entire story was false-the only part that was true was that they went on a brief walk. I went to Bunko tonight and Robby held down the fort here. Graham was tired and asked to go to bed early which of course was granted. Campbell was not too far behind and soon Reagan and Anderson went to bed. Keaton only had one bottle so we will see if she makes it through the night. This morning started with Graham screaming at the top of his lungs that he was ready to get up. Screaming over and over. I jumped up and stumbled that way, Robby tried to grab the monitor to tell him to be quiet and knocked it and who knows what else of his nightstand in a clatter. Little bit like a comedy show. Graham's morning didn't start too well but after a time out before 7, he calmed down. Anderson was the mellow one today and joined me, Keaton and Robby in bed for a bit. Then Graham joined us too and I started wondering where Campbell was since I had gotten her out of bed much, much earlier. I wondered if she had climbed in bed with Reagan but Graham told me she was putting on her clothes-and that she was. Most 2 year olds probably don't dress themselves and come downstairs with two rubber bands and a brush for their hair. We eventually had breakfast and did our memory work at breakfast. Then they played for awhile and I ran around doing my chores. Next up was school and everyone did really well today and we finished in record time. We are still talking about President's Day and measured to see who was closest to Lincoln's height (6 feet 4 inches). Then the kids all played with playdoh while I cleaned Keaton's exersaucer. When it dried I put her in it and she thought she was something else. She loved to grab the toys and pull them to her mouth. Everyone else played with playdoh for at least an hour. I managed to trip finger and toenails while they were playing. Then I painted the girls toenails (even Keaton's) and the boys wanted their done too. I did only 2 of their toenails to preserve their manhood! While their nails were drying, all 4 of them sat with their toes on a folded piece of newspaper. I managed to go upstairs and pick up while they were there. I even took my time and when I returned everyone had their own newspaper for their feet and they were sitting so quietly talking. I told them that it would take another hour for their toes to dry. They seemed content with that so I laid down and took a nap! Ha! Kidding. I did make them lunch and they ate it on the floor. When they finished lunch they went back to the playdoh. Keaton is watching all of this from her exersaucer and she was quite entertained. By the time playdoh was over, we had more on the floor than in our 27 containers of playdoh. They had a blast. Everyone helped pick up and soon Kennedy came over to play. She stayed for a bit while Jodee talked to a plumber and when they left, we hurried around to go and see Beebee. We had pictures for her and flower pictures that we had made. She was in a good mood and everyone did well. The boys were quite entertained by looking into Beebee's make up mirror. Maybe I need to get the kids a mirror! They stood there and did that the entire time I was visiting with Beebee. We made it to church in time to grab a glass of lemonade. We even saw Nonna and then Jason in the hallway. Everyone did fine in their classes. Reagan did shop in her Sparks class and had 99 bucks to spend. I had seen sleep mask on the shelf for them to purchase but surprisingly that is not what she bought. She bought a box of candy and a little embroidered wallet. It was cute but I am always surprised at what she buys. She was very proud though so that is all that matters-she said a zillion and a half verses tonight. My smart little thing! She even got to spend the night tonight with Kennedy and Alyssa Kate-she was so excited as she left with her candy! Graham and Campbell ran to the store with Robby on the way home. But on my way home, Keaton screamed the entire time. It was enough that I know Anderson was wishing that he went with Robby. Anderson and I talked to her, sang to her, turned up the music full blast and even had to shout at each other so we could talk. She calmed when we made it home but started up again. Poor thing had even had a meltdown at church tonight and didn't want her bottle but finally took it when she was holding it. I hope that it is just her teeth bothering her-probably is, I put some medicine on them tonight and she went right on to sleep. Graham finally went to sleep last night and everyone slept until 6. It was then that I heard Reagan calling saying "Campbell's ready to wake uuuuupppp." I quickly made it up the stairs so Campbell and Reagan wouldn't wake up the boys. I brought Campbell down to our bed and she laid still as she could for an hour. Everyone once in a while she would clap her hands or imitate Robby snoring. But for the most part, I was still able to rest for another hour until she saw my phone and wanted to play a game-seriously, a 2 year old wanting to play games on my phone! I took the boys to school this morning while Robby stayed at home with the girls. I didn't hear much about what they did but I did hear that Reagan played Pac Man and Campbell emptied a plastic bag full of tiny beads. Robby ended up picking them up for her though I keep finding them around. Campbell had a pocketful earlier. Keaton slept most of the morning long (think Robby gave her some benadryl). When the boys and I made it home, they were all headed outside for a bit of swinging. When I walked in to pick up Anderson, he was showing his class his pictures from the other day. They were all gathered around him looking. I could tell that he was eating the attention up. And when I signed Anderson out, there was a child laying on the ground-Anderson stepped over him like this was a common occurrence and said "he wanted to see more of my pictures." Graham was so excited about getting to bring an animal to school on Thursday-his little fox is already packing its bags to go to school. When we made it home, everyone swung for awhile and then I headed in to make lunch. Of course, I had to go back outside to get Campbell down out of the tree house 2 times since she refused to go down the slide and can't get down the ladder. We finally had lunch and attempted school with Campbell-ha, that was a no go for this afternoon. At one time, Campbell, Graham and Keaton were all fussing-I fixed all of that by putting Campbell down for her nap, giving Keaton her milk and walking Graham to the spanking spoon. School then went very smoothly up until Campbell got up from her nap. We tried to watch a video on my computer and Campbell wanted to hold the computer and this distraction led Graham to grab a ring of Reagan's that was on the floor. She screamed at him and snatched it from him. I not so politely explained that that was not how we acted. Things were downhill from there but just as quickly as they fell apart, everyone was happy again. The boys went upstairs just as neighbor girl rang the doorbell. So everyone went outside to play and played until it was supper time. I briefly left to use my expiring coupon for a manicure and pedicure and made it home just after everyone had their pajamas on. We started bedtime routine and Graham through a doozy of a fit and everyone has now lost their airplane privileges until further notice! Everything was calm though at bedtime and since we needed to do some laundry, Robby made sure that Graham understood that we were doing laundry and the noises he heard were the washing machine and not anything to be afraid of-must have worked because they are all sleeping soundly. Back in my own bed...with bears! Campbell slept well last night and was ready to go this morning. She spent the day taking care of Keaton, going on a walk, eating Mexican casserole, playing outside, playing dollhouse and hanging out with Lilly. Keaton's last night at Grannymom's house was not that restful. She was awake quite a bit during the night but was as happy as she could be during the day. In fact, when we arrived she had the hugest smile and showed off her new trick of putting weight on her legs. Campbell, on the other hand, barely noticed that we had walked in the door. Reagan was so excited this morning about her Valentine's party at school that she could hardly eat breakfast. I think all they did today was Valentine's and eat at school. When she got back to Nonna's house she laid out all of her Valentines to organize them. Tonight when we made it home, she glued all of her cards on a poster (though I had told her not to since it was time to come upstairs). But later, I told her that maybe tomorrow we could hang them beside her bed and she was so excited. Speaking of Reagan, she told Nonna today that Nonna could do two things for her-get her earplugs and a patch. A patch for her favorite pair of leggings that she has worn a hole in and earplugs since the boys keep her up at night. Nonna told her that they probably don't make kid sized earplugs and then asked wasn't she supposed to be responsible for everyone at night. Reagan replied that she wasn't responsible for nothing and there was a monitor up there. Anderson went to school today and did all things President's Day related. Anderson never really says much about school or anything really when I ask him a question. But tonight I asked him about his favorite part of his stay at Nonna's house and when pressed he replied riding the bike. Graham spent the morning with Pops. They had a little nap when Nonna was taking the others to school. Then they picked up Papaw's dry cleaning and took it to him. Graham was very intrigued by this process and wanted to know if they wrote his name on his clothes so he would get the same ones back. Campbell loving being at G-mom & G-pa's! At the Dennie house, Keaton stirred once in the middle of the night and Campbell woke up around 5. They made it to church and the girls did fine when they were dropped off at church. Keaton slept most of the time and Campbell as always played hard. Lilly and Cash came back over this afternoon to see them again and Campbell is relishing all of the attention. They had baths tonight and were settling down for the evening when we talked to them. Robby told Campbell that he had a present for her and she said "want it"
At the Brock house, everyone slept well. They made it to church and afterwards had lasagna and lima beans for lunch (per Reagan's report). Then the went to see Beebee and then Papaw-it sounded like they had quite the feast at Papaw's place. This afternoon the boys spent lots of time outside. Nonna told me this story-once they got home from church, Graham headed to the bicycle and Anderson noticed where he was going and shoved him into the truck so he could get there first-boys! At the Dallas hotel, Robby and I woke up at 9 and then lounged around until 11. We went to eat BBQ for lunch at Randy Whites BBQ. The food was good but the bonus was that they had free rolls, cornbread, ice cream and peach cobbler. Robby and I got the sampler platter and we could have fed all of the kids with the food. We will have to put it on our list for next Dallas trip. Then we headed back to Ikea-today's purchases consisted off: pillows and dishes for Amber, a bench for the front porch, a rack to stand up my lids, flashlights for the kids, a little coat rack, a few pictures, a mousepad and a few clocks for the schoolroom. We then drove back to the Dallas hotel and have eaten a bag of chocolates. Robby has done our taxes and I have finished our California trip pictures. Another wild and crazy night! Graham was in our bed at 6:30 and was wanting to know if this was the day he was going to go to the circus. I told him yes but that we had a few more minutes to sleep until we needed to go. He then added that we would need to go so we wouldn't be late for the circus. He was so excited he could hardly wait. Everyone stirred pretty well and Reagan immediately started packing her bears. She had asked last night if she could take them and I told her that she could but that she would have to get right up in the morning and pack them-and that she did. I also got out a bin and asked Anderson to pack a few toys for the boys to take to Nonna's house. I had suggested some trucks and trailers and he ran off and did this. I saw him minutes later and asked if he wanted to add some more toys to the bin. He said that it was full already. Later, I looked in the bin and he had neatly placed 2 trucks and 2 trailers in the bin. It was nowhere near full but in his mind he had it as full as he could get it. I dumped in a few tractors and all of their lightening mcqueen cars. While I got ready, got the kids ready and while they ate, Robby spent his time loading up the car. Packing for this trip was fairly easy and not too stressful but loading the car didn't prove to be either of those things. Since the kids were splitting up, it amounted to lots of little bags going different places. Robby, the traveler, even asked if it was worth it! Though one bag was Campbell's favorite-Reagan's suitcase. I had packed Campbell's clothes in it and she spent the morning taking it back and forth through the upstairs. She was so proud that it had her stuff in it. She would roll it around while holding her baby-so cute (and yep, I left her baby at home-hopefully, she rested well without it. She had enough other stuff. This morning I was telling everyone else to find their night time toys and I asked Campbell what she wanted to take. She was still in her crib and started handing me everything out of it to put in the suitcase. I filled the suitcase and then had to leave the rest at home-but I sure meant to bring that baby. When we made it to Grannymom's to drop of Keaton and Campbell, Campbell had decided that she wasn't going to come in (she had knew something was up). Robby carried her in and she was pretty upset but then she saw the exersaucer that Grannymom had gotten out of Keaton. After seeing this, Campbell was ready to unbuckle Keaton and put her in. Later in the day, Keaton did get her turn in the exersaucer and loved every minute of it. Keaton spent the morning at Dana's house while Grannymom, Grandpa and Campbell went to a health fair. Then lunch at Dana's and playtime with Lilly and Cash. I am sure that Campbell thinks she is something else getting all of that attention. She took a nap on Grannymom's bed and was pretty happy about sleeping in her sleeping bag tonight. Graham was so excited to get to go with the "big kids" this weekend. At Nonna' s house, the event today was going to the circus. Nonna, Pops and Jason weren't that impressed with the circus but the kids sure were. Reagan liked the man and woman skating, Anderson liked the elephants and Graham was pretty intrigued by the motorcycles (though he didn't like all of the loud circus noises). Pops even took out a small loan and bought everyone cotton candy-blue for the boys and pink for Reagan. The kids came home and rode bikes, had supper and even played a few games. Reagan played PayDay which was one of my favorite games growing up. They were in their way to bed when we called around 8 so hopefully they will sleep well. When called to check on them tonight and Anderson asked "Did you do good shopping at Ikea?" And yes, I did. Robby and I had a few stops along the way to Dallas (mainly because we had our big sonic drinks before leaving Little Rock) and made it just as it started to rain. Someone from his work had mentioned a pizza place and we found it only to discover that it opened at 5. Since it was 3 we opted for a sandwich place nearby. I had soup and it was perfect since it was cold and rainy. Then we arrived at IKEA. Let me tell you, most people in Dallas were at IKEA today. It was crazy but we did manage to walk through downstairs. We walked up and down every aisle. Usually with the kids, they are ready to get out of there by the time we get downstairs and we just have to breeze through. Now, we are usually tired too which is probably another reason we rush through downstairs. I bought a few things-picture frames (need to buy another one tomorrow for Reagan since she asked if one was for her), straws, a big vase, a stool, bins and an extension cord. Exciting stuff. We then headed to our hotel-priceline in Downtown Dallas. Robby usually doesn't do priceline with the kids since we pretty much need to have a fridge, easy parking, breakfast. But since it was just us, he didn't mind doing priceline. We have a great rate in the Sheraton downtown. The only problem was parking-21 overnight. He thought we would just park in the street but the meters here start at 7 on Sunday morning (most places you don't have to pay on weekends). Robby didn't really want to wake up so we circled about 10 more times until we found a lot nearby. We looked for a spot for nearly an hour...something you can't do with kids. A few other things that we have done today that you can't do with kids are: stop for a potty break and be back in the car in 3 minutes, quickly run into a store in the pouring rain without getting too wet, spend 4 hours lolly gagging at IKEA, mosey through walmart, drive for half an hour looking for supper and walk into a hotel without a cart. It sure is different traveling without the kids. This is fun but I wouldn't trade things for anything.I love those little boogers! They will get to go on the next trip and that is what Robby and I have spent most of the day talking about/planning. Dennie Family Rock 'n Roll Show! Graham was up at 6:50 this morning which is fine even though we are trying to teach him to stay in bed until 7. He laid by me, I scooted a bit and he scooted right towards me-like I am a magnet. Soon enough everyone was downstairs we were having breakfast a bit earlier than usual. After breakfast, they played upstairs while I got ready and then we started school. Most of school was our leftover easy stuff from the week so we breezed through it. I still am amazed at Campbell during school. She colored on one piece of paper off and on for most of the time. She then found a bag of beads and I tried to take it from her but ended up letting her have it to avoid a fit. That little thing dumped them out and then picked up everyone of them. Then I had everyone get ready from my laundry piles in my room and then we started cleaning. I tried to make Anderson vacuum but he didn't really try. When he said he was done I asked if he had done my room and he said yes-though there were no vacuum tracks in there. I just vacuumed myself but I am thinking that my vacuum isn't really picking up much though. Then we cleaned upstairs a bit, brushed teeth and headed to Rock Creek. We were there a bit early and had time to review our memory work. We were waiting on Kennedy to come in with us and soon my car was getting pretty wild. Even Campbell was excited-when we drove up, she said "slide, Momma, out, byebye baby" (telling her baby doll bye). When we came in it was crazy crowded but soon most people left and it was just our crew there. Our crew had 18 kids in it though so it was still wild. Anderson was the only one of mine who got a bit hurt-just a fall. Though it didn't take too long for him and Graham to tire out and want to sit in my lap. Of course this was fine but their heads were so nasty sweaty. We had our lunch there and finally made it home around 2. Dave was in the yard collecting wood for his stove so the kids didn't want to go in. They played outside and swung until I finally made them come in so Campbell could take a nap. It was around 3 and I wondered if I should just let her stay up but I didn't think that would have been too good of an idea. Graham fell asleep while watching a movie and Keaton slept about 20 minutes. Soon Nonna and Pops came over for a bit and even played with the kids for a few minutes. After they left, Robby was home in a few minutes. We sat outside and played with Belle until after 5. Reagan isn't that afraid of Belle, Anderson finally came outside after watching through the window for the longest and Graham reluctantly came out when Robby offered him candy. He is terrified of old Belle. They all did enjoy giving her some treats. Next was supper and then more playtime. The kids put on a performance for us tonight. They were a rock band. Reagan was the singer and the boys were guitar players. There was lots of dancing, running, sliding and singing. They tried a bit of choreography but it didn't work out too well! Ha! Finally it was bedtime and I had to run the washing machine to finish packing. The washing machine scares Graham at night (or at least that is what he says). He came out of his room and said that he was scared so I showed him the washing machine and sent him back to bed. Haven't heard from him yet! This morning the boys were already up watching a movie and I was in bed feeding Keaton when Campbell came and asked me for her milk. I told her to go and ask Graham. She ran out of the room and then I saw them walking down the hall. She said "no fall Graham" (don't fall Graham) and he said that he wouldn't and then I saw him put his arm around her. Sweetest thing. Soon they both came running down the hall-Campbell with her cup of milk and Graham with his second cup. Robby took the boys to school and we forgot their jackets again. Graham was quick to tell us that he didn't have to wear a coat but Anderson did. Later, Anderson said that it was a sweater that he had to wear. Poor guy, I am going to put some extra coats in Robby's car. 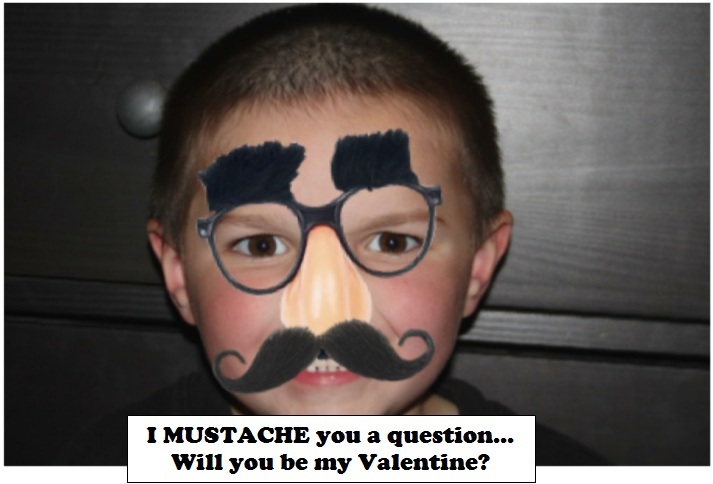 Graham did get a Valentine today from Ms. Wendolyn today. She had forgotten to put her Valentine's in their bags. It had a song to download and Graham was so excited about it. We downloaded it tonight and he was so excited. It was especially neat because the song said his name. He loved it. The girls had spent the morning at Grannymom's house. They said that Keaton was in a good mood all morning long (believable) and that Campbell didn't fuss (unbelievable!) Reagan did some of her school work at Grannymom's-reading a book and her math. Poor thing. This weeks math lesson has been writing to 100. I want her to do all of the lesson and practice won't hurt anyone but she has had to write to 100 every single day! (and will next week too!) Don't feel too sorry for her, she also had plenty of time to make lots and lots of valentines. Speaking of Reagan and school-she finished our Teach your child to read in 100 easy lessons book today. She was so excited about finishing that she read 2 the last two lessons today. Grannymom had lunch for us and everyone played outside before we headed home. School was fairly quick today and I was headed to the grocery story by 4. I picked up what we needed and when I made it home the kids were playing in the back yard. Robby was sitting outside working on Keaton's yucky head-it is a little scaly. We then came in and started baths. Robby tried to put the big kids in the tub without Campbell noticing (ha!). He said something to them about them being able to take a bath without "pooper." That didn't pass over their heads and when they saw her coming everyone started shouting "pooper, pooper"-how mean! Of course, someone had to get out of the tub for her to get in and as soon as they did, she was in there. Keaton was getting her bath in the sink and seemed to enjoy it. Won't be too much longer until we can put her in the blow up bathtub. Robby then ran (don't worry, I am offsetting that run with some cookies in the oven as we speak-I know, we have a problem!) while the kids had supper. After supper, I made the kids do laundry and clean up the playroom (mean, mean mom). Actually, Reagan did most of the laundry and I did most of the playroom. After that they played for awhile and Robby told Graham a story and then Graham told Robby a story. Soon it was bedtime-Anderson didn't get to do our nightly airplane ritual because of whatever he had done yesterday (I don't even remember). He didn't seem to mind and soon everyone was in bed. We didn't really hear a peep out of them...maybe because I forgot to bring the monitor in the living room with us. Graham stayed in his bed all night and even Keaton slept all night and the rain was so nice this morning that we could have all stayed in bed most of the morning. Graham though was the first one up and soon both boys were laying on each side of me. But within a few minutes, the tv was on in the school room and they had all migrated in there (more on that later). We were able to do some school this morning but before too long, I looked at the clock and it was time to get ready to leave for Keaton's parent dedication picture. I grabbed a cute little outfit and fed Keaton one last time so she wouldn't be fussy. Grannymom and Grandpa came over to stay with everyone while I was gone. Before Reagan's parent dedication picture, I remember that we gave her a bath, obsessed about what she would wear and were pretty stressed about the whole thing. Not today, poor Keaton, I just picked something churchy from the closet, rubbed her down with lotion so she would at least smell clean and threw her in her car seat. My how things change. Back to this morning-they were watching Cake Boss on tv. This has become their new favorite show and seriously, it might even be classified as an obsession. Today, they were watching it and playing it at the same time. Reagan and Graham were making construction paper cakes and they were all taking turns coming in and buying cake. Anderson had a special job-I guess that he was the boss and would occasionally shout "get to work, we will have to bake all night." The kids mostly played this afternoon. Graham had to lay on the couch since I told him he was tired since he was doing so much fussing. Of course making him lay down only created more fussing but he did eventually calm down. Poor guy was pretty tired and on the way home from church tonight, he would ask us at every turn what road we were on-he was ready to get home and get in his bed. Keaton's schedule was off last night and she woke up around 12 when we were going to bed to eat. And shortly thereafter Graham joined us in bed. Robby woke up enough to walk him back to bed and then I had to go up there twice since he kept yelling "momma, I neeeeeed to teeeeell you sommmmmething." By the time I made it up there, Campbell was awake along with Reagan. I was able to get everyone calm and back to sleep. Then Robby ended up feeding Keaton around 5-I guess the late night feed last night messed up her sleeping schedule. Keaton has been a little off lately but I think that it is because she is teething and possibly has a cold. Yesterday she just wanted me to hold her and this afternoon she only had 20-40 minute naps at a time-that's just not cool. Though when I fed her the cereal tonight, she was so excited. She didn't eat it any better but she was sure happy about what was going on. She was kicking her legs and swinging her hands so much that she knocked the spoon into her hair and kicked my bowl onto my lap. This was party day at the boys' school. I have to bounce back between parties but saw most everything-cupcakes, punch and games. 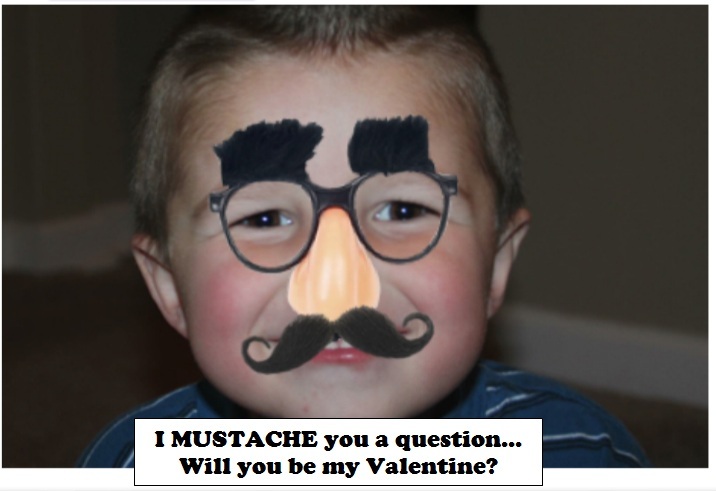 Anderson's class did get to pass out their Valentine's during the party. Ms Stacy was a bit worried that the kids wouldn't know what to do and asked the parents to help. I followed behind Anderson and he knew exactly what to do-not a problem. I had a game to play for Anderson's class-nothing exciting but another mom had a great game. Eat the donut off of the string. They loved it. The first group that went had a few girls who daintily ate their donut and Anderson's group just gobbled theirs down in one chomp. Reagan, Campbell and Keaton had spent the morning with Nonna and Pops. They had been busy most of the morning long decorating cakes and cupcakes. Reagan was the official cake decorator and really enjoyed doing that. I was happy that she even got a bit of her work done-anything that we can do before school helps out. If Reagan was the official decorator, then Campbell was the official taste tester. When we made it to Nonna's house, Anderson went through his Valentine bag (Graham didn't want to bring his in because he didn't want anyone to get it-smart boy). They all had a piece of candy-Anderson is always so good to share. Then we had lunch and then devoured Reagan and Campbell's cupcakes. Everyone played for awhile and then we headed home. At home, Graham dumped his candy and Campbell helped go through it (eat it). Then she took a nap, Keaton had a bottle and the rest of us started school time. I am always surprised at how long school takes us-I look at what we have to do and always under estimate how long it will take. Like today, the last 3 of Reagan's boxes were fun boxes dealing with candy heart math. It still took us 2.5 hours and the boys stuck with it the whole time-but who wouldn't when they have a graph full of candy that I said they could eat. Keaton then woke up (again-she had already been asleep and woken up once during school) and I woke Campbell up before supper. I got out the leftovers and then Robby came in with sweet and sour chicken for me (my V-day gift) along with a calendar (my standard and necessary V-day gift). I loved them both and the kids had the leftovers while I sat and ate my chinese. Delicious. I had planned on making a Valentine's cake with the kids but Robby had a dozen donuts with him so we all had those as our Valentine's day dessert. After that, the kids all watched a movie and I read a few books to them. I think that some day I am going to read 100 books to them during one day-wouldn't that be fun? I would just have to find short books-maybe for the last day of school. After books, it was bedtime. Graham was the first one asleep and was snoozing soundly when I had to go up there to put Campbell's diaper back on. I told her that I would safely pin it to her skin and she whimpered back "no" like she knew what I had said. But alas I don't have any safety pins or duct tape!